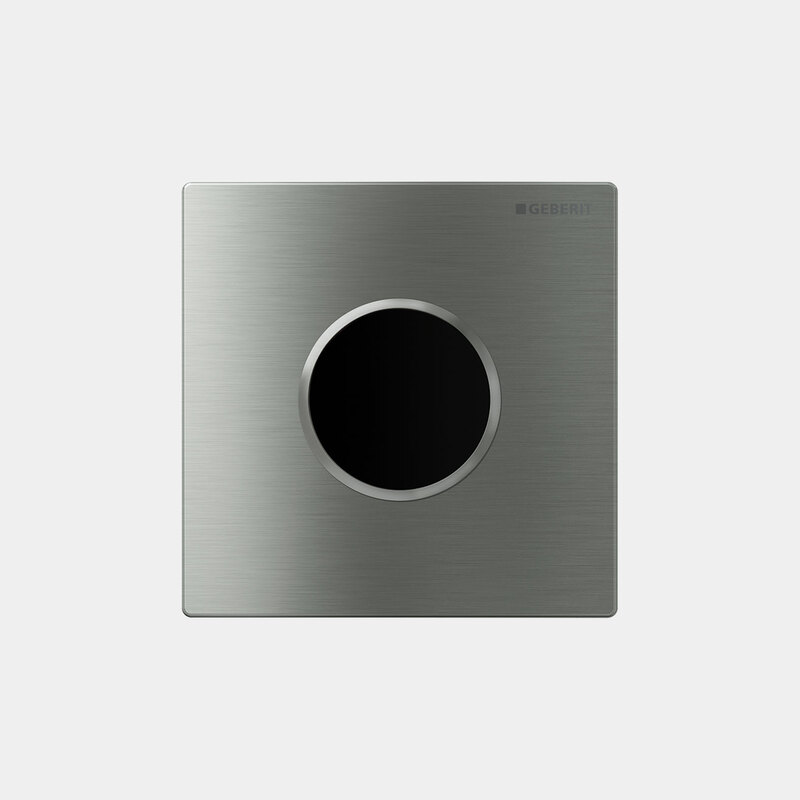 Geberit Type 10 urinal flush plates give you an elegant option for public or semi-public spaces. Choose manual operation or, for public spaces where hygiene is of maximum importance, choose a flush plate with hands-free operation. Type 10 hands-free flush plates can be hard-wired or battery operated. An infrared beam instantly detects the presence of a user and automatically flushes the toilet when the user steps away. Reliable distance detection registers the user regardless of clothing and lighting. This allows shorter, space-saving distances to adjacent urinals and walls. Type 10 hands-free flush plates offer adjustable flush volumes as well as other convenience options like automatic trap filling and programmable hygiene flush to prevent stagnation and odor problems. Looking for matching Sigma10 flush plates for toilets? Click here . Looking for matching toilet plates?